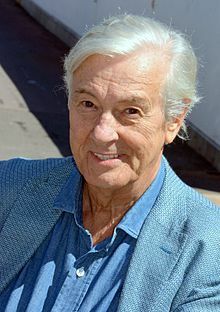 Paul Verhoeven (born 18 July 1938) is a Dutch movie director, producer and writer. He was born in Amsterdam. He directed American movies RoboCop, Total Recall, Basic Instinct, Showgirls and Starship Troopers. He wrote and directed Dutch movie Black Book. During his youth Verhoeven was for a short time a Pentecostal Christian. Although he is an atheist,  he takes a great interest in Jesus. He is a member of the Jesus Seminar and wrote "Jesus of Nazareth" in 2007, a liberal view on Jesus. He is intending to make a movie about Jesus. This page was last changed on 16 October 2017, at 17:45.